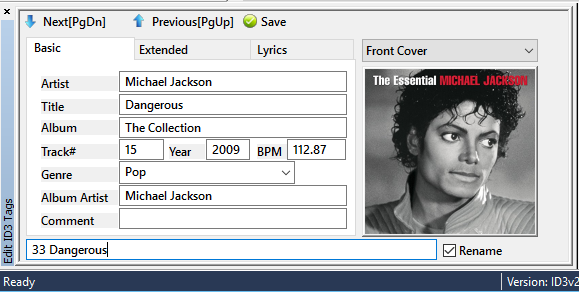 – added YouTube To Mp3 Downloader (Converter) with embedded YouTube search. – main menu redesigned, added convertor section in main menu. This entry was posted in Version History, Zortam News and tagged Zortam Mp3 Media Studio 21 on August 24, 2016 by Zortam Support. First enter in YouTube search box artist name and press enter. It will bring list of video files from YouTube. After that press download icon to download video files from YouTube which will be automatically converted to Mp3 files. YouTube video title is used as the name of newly created MP3 file. All downloaded Mp3 files will be saved in \My Music\ZortamMp3MediaStudio\Downloads folder. Clicking on the folder icon you can check the content of \My Music\ZortamMp3MediaStudio\Downloads folder. 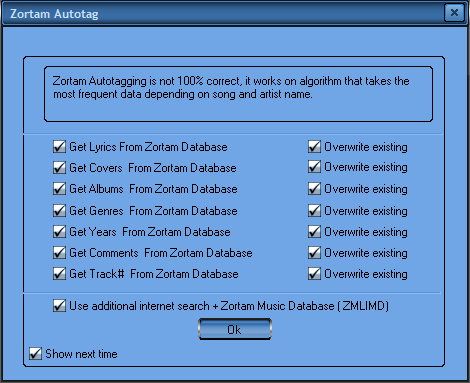 After that you can use options [Zortam AutoTag (F4)] to autotag Mp3 files or use options [Write ID3 tags from filename (F5)] to add ID3 tags from mp3 filename. Also use options [Rename files using Mp3 tags (F6)] to fast rename and move your files to the new folders. You may use mask for renaming different masks such us (“%1\%1 – %2“). It will create subfolders in \My Music\ZortamMp3MediaStudio\Downloads or you can specify your own folder. This entry was posted in How To and tagged YouTube To Mp3 Converter on August 24, 2016 by Zortam Support.